? ALL IN ONE KIT FOR YOUR PET'S ENTIRE BODY - This dog hair grooming kit features 2 Grooming hair scissors: one smooth-bladed long pair for body fur and a smaller pair that features micro-serrated blades for intricate work on their delicate, sensitive paws and face. ? ROUNDED SAFETY TIPS - Never worry again about accidentally injuring your pet! 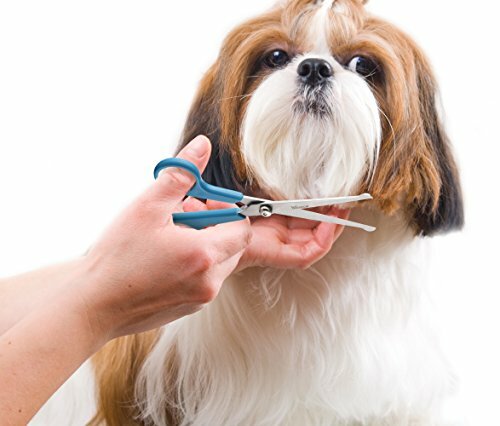 These dog grooming scissors feature rounded tips that are safe for use on any area of your pet without the fair of injuring them with the tips. ? SUPER COMFORTABLE, ADJUSTABLE HANDLES - Designed with the pet parent's comfort in mind! 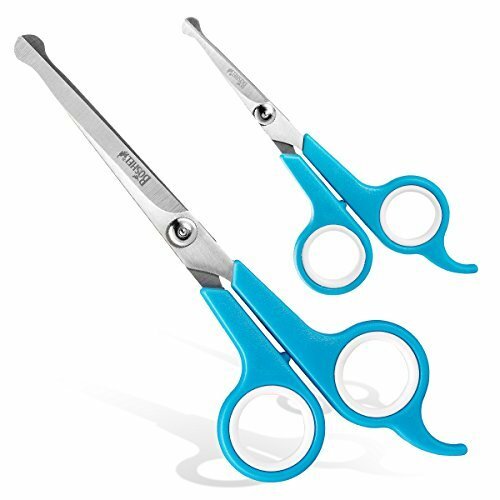 these dog grooming scissors feature cushioned anti-slip handles. It also features a removable ring inside the handles for a custom fit! And an ergonomic finger rest to keep you comfortable, no matter how long the grooming process is. ? 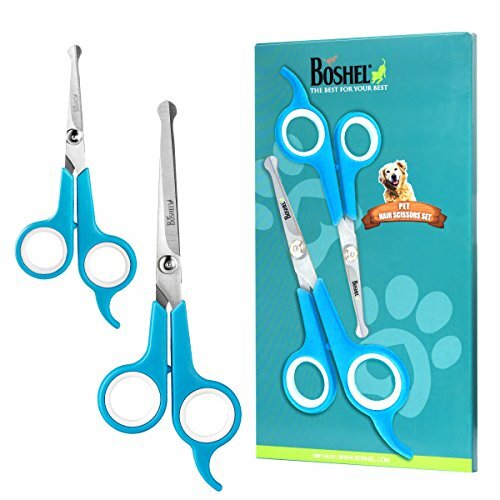 TOP QUALITY STAINLESS STEEL BLADES -The sharp steel blades of these dog hair scissors ensure a clean cut for a quicker grooming session, no matter how tangled the fur is. ? 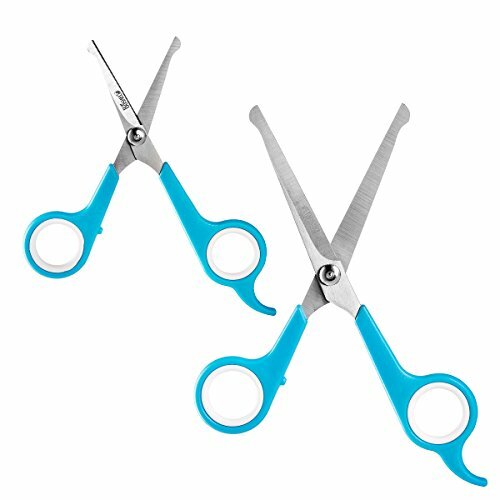 ERGONOMIC EASY CLEAN FEATURE - Both Scissors feature an ergonomically designed, Adjustable/removable screw on the blades for easy cleaning. When you finish pet hair grooming with this hair scissors simply loosen or unscrew the ergonomic screw to easily remove stuck hair out of the blades. Once it is clean, make sure to tighten the screw firmly back in its place.